This is an astonishing chart, just released today, April 1, 2014. Can't get any fresher than that. 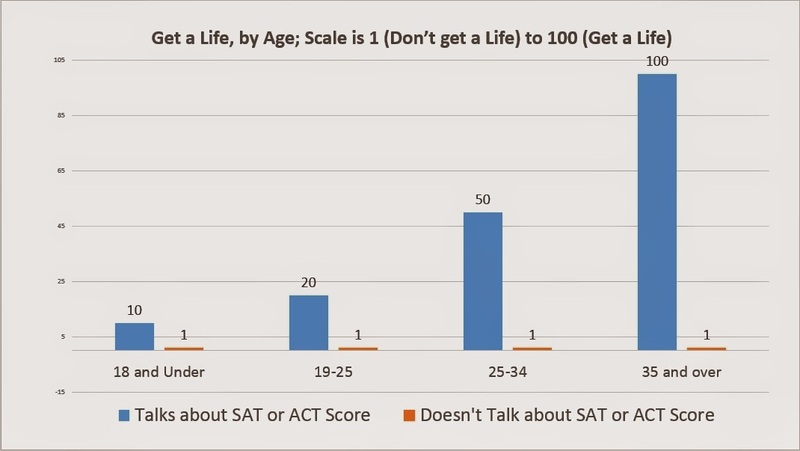 The "Get a Life Institute" of Cambridge, Massachusetts has just conducted a one-year, longitudinal study of how much people need to get a life. I've used a top flight data analysis, tool, Excel, to crunch the data and magically break it into age groups. I think the results speak for themselves. I have independently verified this data by speaking to a couple guys at Buffalo Wild Wings. Statistically sound.